Social activist Anna Hazare has filed a complaint with the Mumbai Police highlighting alleged irregularities in the state’s cooperative sugar factories. He has alleged that senior officials were involved in a scam regarding illegal erection, loan-sanction, and sale of cooperative sugar factories in Maharashtra worth Rs.25,000 crore. 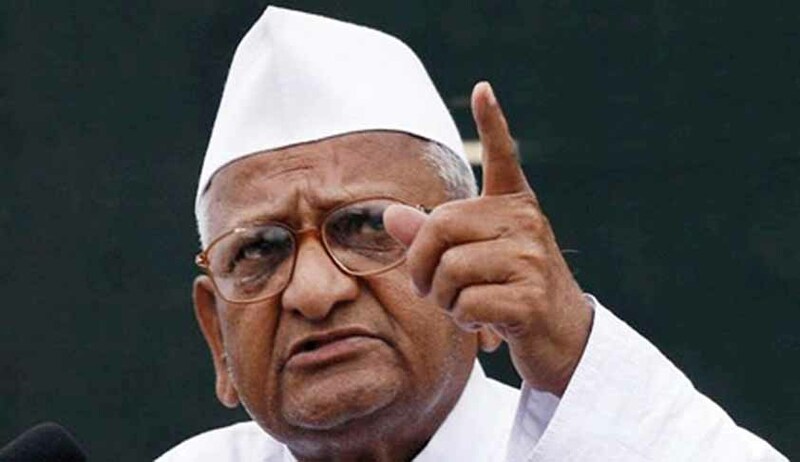 Anna Hazare had earlier filed a criminal public interest litigation seeking legal recourse against those involved in the scam. Pursuant to the order passed by a division bench of Justice Abhay Oka and Justice Anuja Prabhudessai, the social activist approached Mumbai Police Commissioner Datta Padsalgikar and on Wednesday submitted his complaint with the Mata Ramabai Ambedkar Marg, police station in South Mumbai. He marked copies to other authorities such as the Enforcement Directorate, CBI, Commissioner of Police etc. Highlighting the enormity of the scam which has purportedly been building up for the past three decades, he raised serious allegations on the board of directors and managing directors of the co-operative sugar factories. However, he added that the ‘tentacles have spread’, covering within its fold several important offices and functionaries within the cooperation, government circles, other stakeholders involved in the illegal erection, grant of illegal loans, and finally illegal sale and privatisation of the cooperative sugar factories (SCFs). He alleged that various illegalities were marked in the erection of the CSFs by the CAG report of 2007. He stated that the then officials and ministers of the state and Union granted permission to setup excess sugar factories, despite the fact that the cane production was not sufficient to meet with the crushing capacity of such sugar factories. The complaint filed also stated that unsecured loans were granted to CSFs despite having the knowledge that the CSFs were already unable to pay their outstanding dues and were on the verge of closing down. He alleged that banks first intentionally made the CSFs sick by granting huge unsecured loans and then sold the CSFs at throwaway price. It stated that the CSFs, despite having assistance from the Central government, were not given the benefits of the schemes; much the less it intentionally deprived the CSFs of the benefits of sugar development fund to which all the sugar factories made contributions to. He further added the authorities sold CSFs at throwaway prices in connivance with each other, causing huge losses to the exchequer.